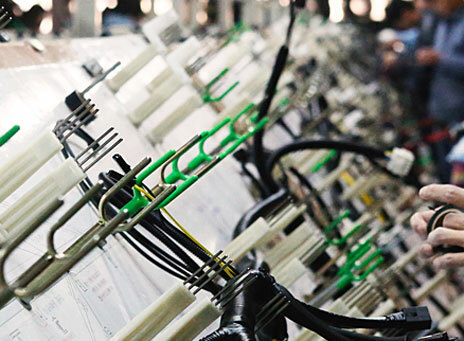 Choosing a cable harness assembly or custom wiring harness partner often hinges on their capability to support current production as well as the successful launch of new programs. PCA’s, a custom wire harness manufacturer, business model is structured to meet these challenges. PCA’s sales and engineering teams can work virtually, or at your facility, to assist in the design process of custom wiring harness or cable harness assemblies. Key areas of focus during this function are component selection, addition of fuse and relay power distribution modules, and optimized harness routings. 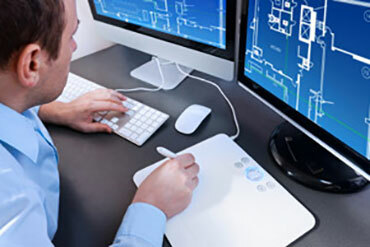 This task usually incorporates on-site visits, sketches, and 2D or 3D designs typically in AutoCad or ProE. Whatever your approach to development is, informal drawing, CAD drawings, a verbal explanation, modifications to an existing products, we can determine a way to create a functional custom wiring harness or cable harness assembly prototype. With an extensive component library, strong purchasing presence, and dedicated prototype team, our engineering department is able to support prototype builds in a condensed time frame. 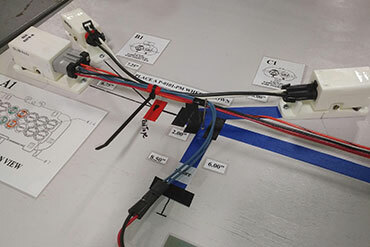 To support both prototyping and production launches, PCA, a custom wire harness manufacturer, has dedicated employees to coordinate the design, sampling, start-up, PPAP, and production requirements of all new custom wiring harnesses and cable harness assemblies. 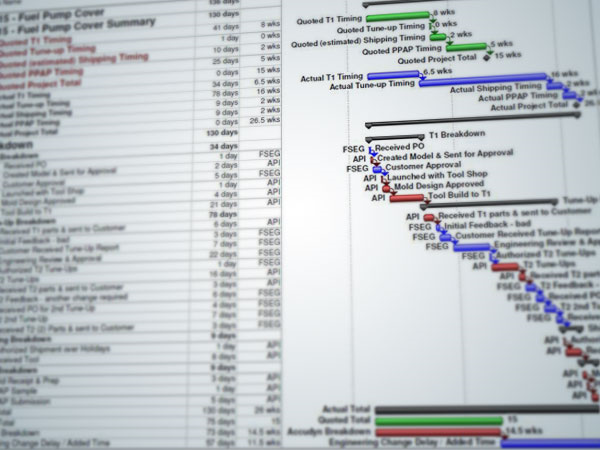 These individuals also oversee engineering modifications associated with revision changes to ensure your supply chain is not interrupted during product development, launch or transition. Based on your design, PCA will determine the most cost effective location for production. With manufacturing locations in Brookfield, WI, Monterey, Mexico, and Qingdao, China, we can optimize final unit costs based on material, labor, warehousing location, transportation and lead time requirements. 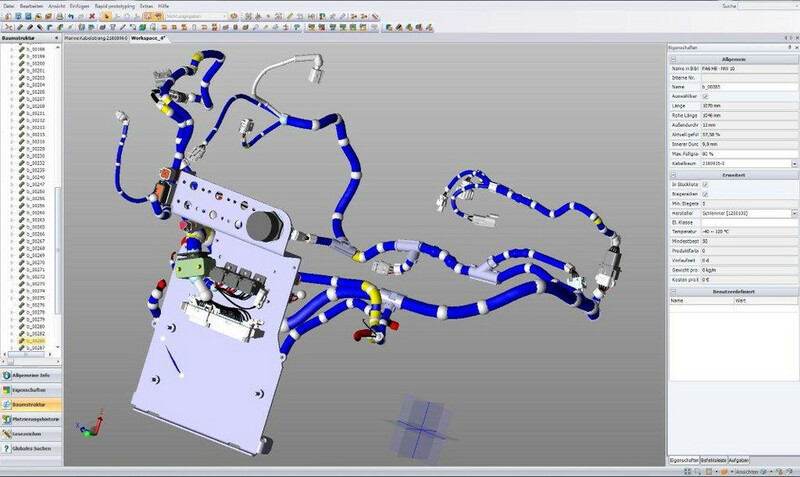 Our engineering department can turn your battery cable harness assembly and custom wire harness needs into a 2D manufacturing print and export the data for use directly on your CAD template. This allows your engineers to explain their needs without spending time sifting through websites and drawing complex prints. Our goal is to get your project off the ground quickly and efficiently. With nearly two full ocean containers a week out of our Qingdao facility, we are able to provide you the advantages of overseas manufacturing with the small minimum order quantities you would normally expect out of domestic production. PCA has an import/export department with its own trading license making it a premier logistics solution. 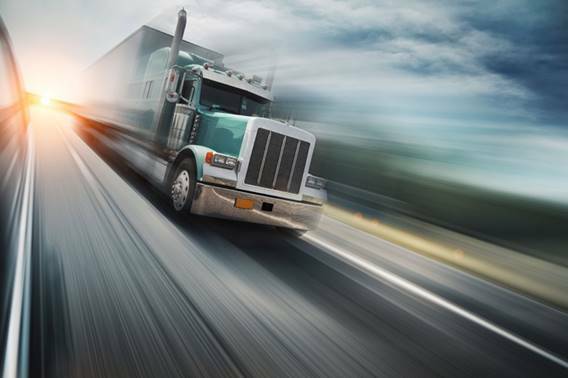 Shipping can be arranged out of our warehouses in the United States, Mexico, and China. Vendor Managed Inventory, Kanban, and EDI are all versions of customized stocking programs put in place for our customers. 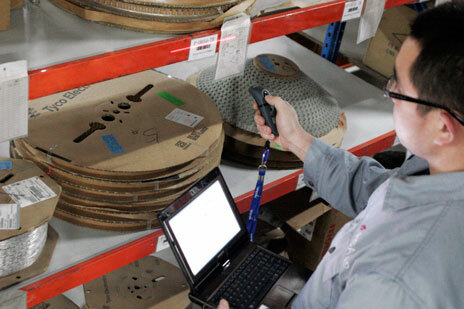 PCA has the ability to adapt to nearly any supply chain system required for your production. Our engineering professionals will work closely with your staff, offering creative alternatives and solutions that will improve your quality and productivity. All of our facilities have full-time Engineering and Quality Assurance staffs. This allows our three locations to collaborate with nearly round the clock service while maintaining a single point of contact for the customer. Our application engineering team will happily travel on-site to review the application and help incorporate design improvements at the beginning of the project. You can trust PCA with your custom wiring harness and cable harness assembly needs.